We offer a FREE APPRAISAL and a NO RISK GUARANTEE. We buy all estate contents and liquidations, U.S. Mint, Proof, and Prestige sets, U.S. Commemorative coins, U.S. PCGS/NGC graded coins, all gold, silver, and platinum bullion, U.S. paper currency, certificates & notes, and gold & silver jewelry and scrap metal. We will travel to you in NY, NJ or CT or set appointments [Open 7 Days]. Mail your coins to us by insured USPS, FedEx or UPS. Do NOT clean or polish your coins in any way. Doing this may greatly reduce their value.  Copyright © 2004 - 2016 Goearth, LLC. All rights reserved.